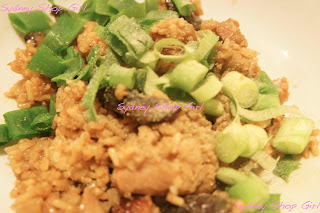 Sydney Shop Girl: Electric Rice Cooker Claypot Chicken Rice. 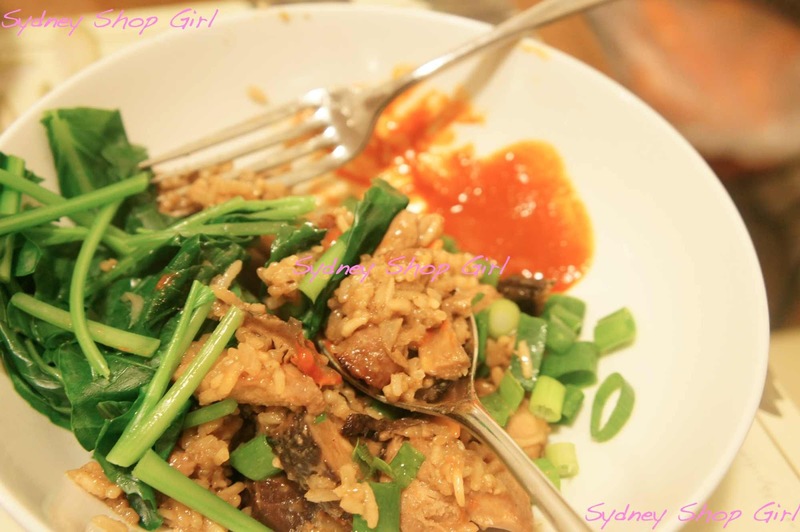 For every culture that uses rice as a staple grain, there are a collection of recipes prized for their taste, being a one pot meal and perhaps most importantly that 'taste of home' comfort food factor. Risottos, briyanis, congee, paellas and pilafs are just a few. The original recipes are often complex or laborious which makes them even more deeply enjoyed when they're cooked in the context of our fast paced, city lives. The rice dish of my dreams is clay pot chicken rice. It is traditonally cooked over a charcoal stove using clay pots to give the rice a smoky, slightly charred flavour. 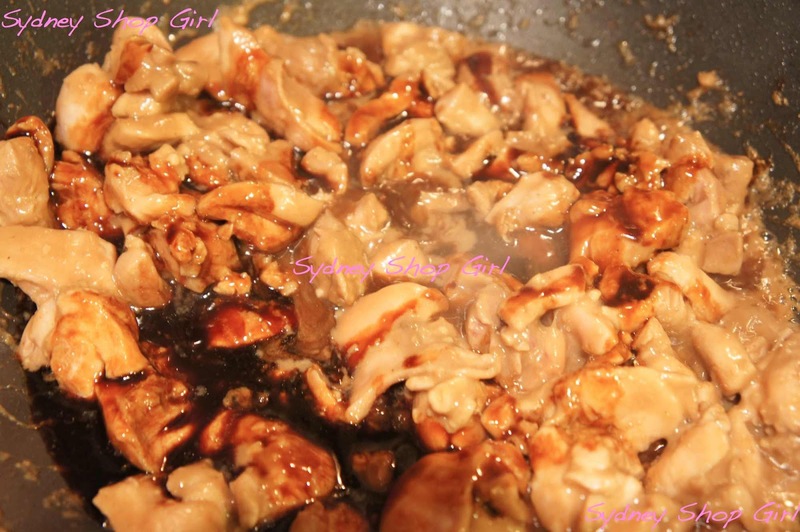 There are technicalities with the cooking process, the marinading of the chicken and whether or not you pre cook your Chinese pork sausage and if salt fish should be added. Neil Perry even has his own recipe. You know I don't cope well with the complex or the precise when it comes to cooking dinners. 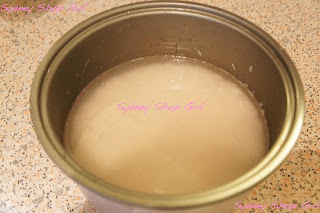 So, to satisfy my clay pot craving, I found this brilliant recipe for making the chicken rice using an electric rice cooker. Again, there are lots of variations of the rice cooker method but I chose this one because it was the easiest to follow and the end result looked like the dish of my childhood. The purists also recommend using the fancier rice cookers for the best results. However, I managed to create a very satisfying dinner using my cheap cooker from Bing Lee. If you do a lot of Asian cooking, the sauces you need should be already in your pantry. If not, most are easy to find at the supermarket. 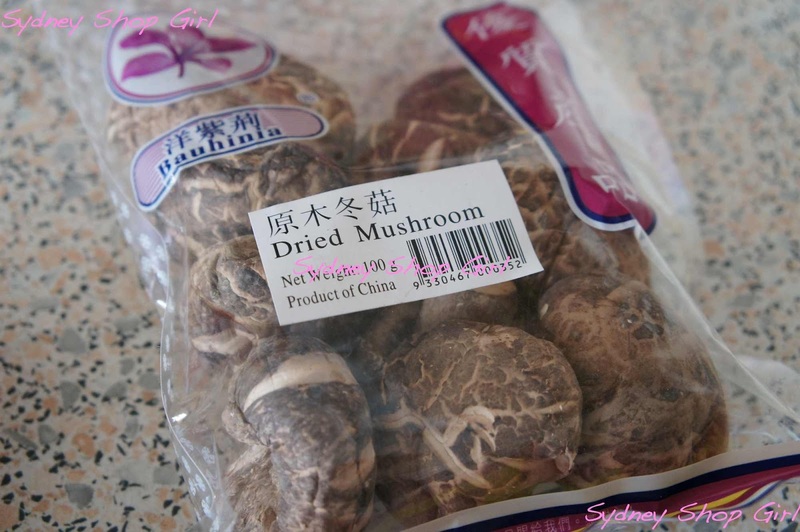 At the risk of souding like a food snob, though, it's well worth hunting out good quality Shao Tsing cooking wine, oyster sauce, soy and sesame oil. The final dish will be all the better for your effort. 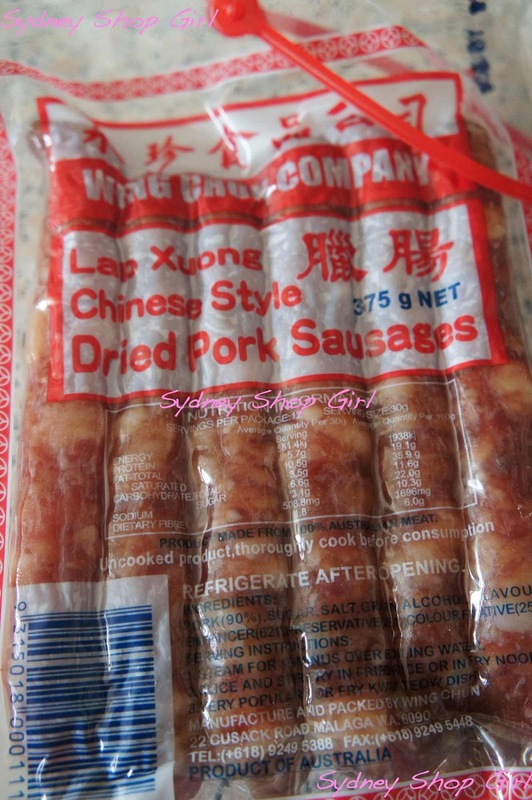 Similarly, for the pork sausages, I was lucky enough to be at a Chinese grocer in Burwood which stocked these locally made sausages. 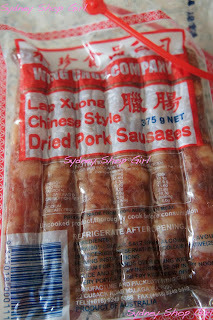 I soaked mine in some hot water before frying, to remove some of the excess fat and waxy sausage skins. I omitted the salt fish due to personal preference. Dried Chinese mushrooms for soaking. Washed jasmine rice with enough water above the rice to reach the first skin crease of my index finger. The perfect volume of water according to the collective wisdom of our grandmothers. Chopped mushrooms and a bowl full of the 'drizzle sauce' to give the stir fried meat and mushroom mixture some extra ommph. Despite being billed as a quick recipe, there was still alot of preparation before I was able to flick on the rice cooker. 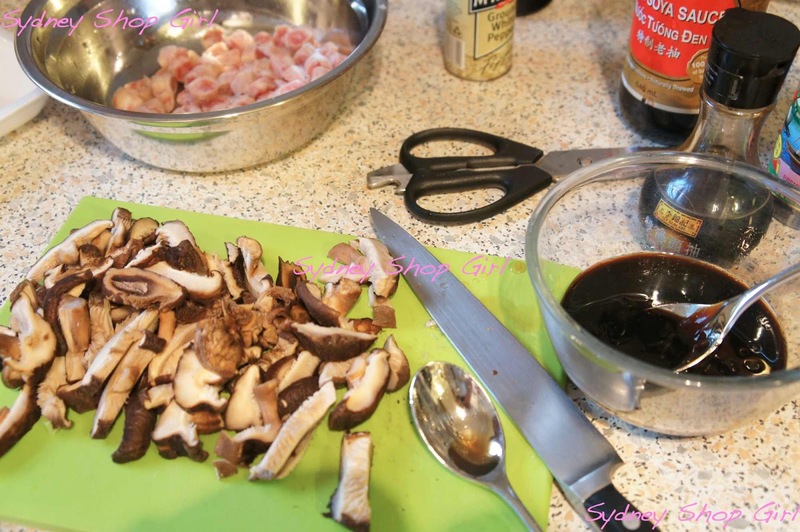 The hydrated mushrooms had to be squeezed dry by hand before getting thinly sliced. The sausages had to be thinly sliced and fried until they were a little charred. The stir fried chicken, pork sausage and mushrooms getting drizzled with the sauce. The final mixture ready to be added to the rice. After all of that, it was finally time to get the rice cooker started. The trick is that you add the meat and mushrooms just as the water in cooking the rice begins to bubble so that the gravy trickles into the cooking rice. It all happens too quickly with cheap rice cookers, the rice is practically cooked by the time the water bubbles. Fortunately, I did manage to get some mixing of the rice and meat layers during the cooking process. I also cheated at the end by manually stirring the meat through to the bottom of the rice. It's a good idea to leave the chicken rice in the cooker for 20 minutes or so after cooking finishes, just to make sure the everything is cooked through. There are no rules for what to eat your chicken rice with. 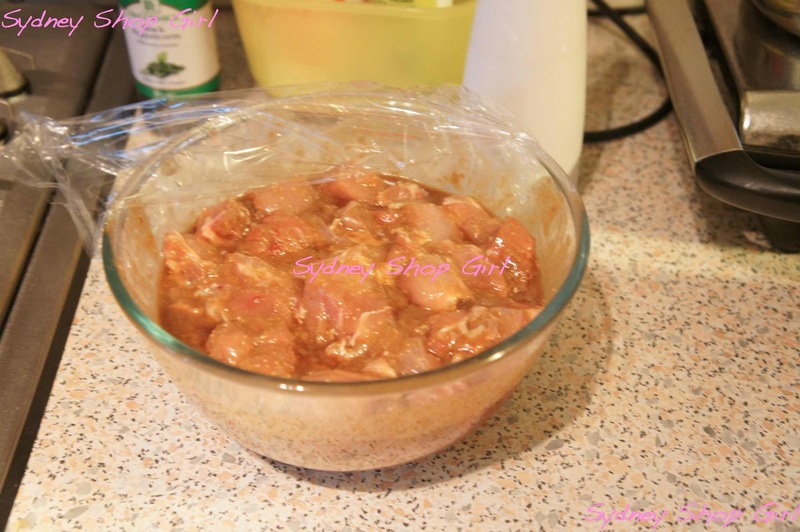 Mr SSG is a big fan of chilli sauce and spring onions. While I have to drench my rice and spring onions with heaps of white pepper. Looks good!! Love clay pot rice!! Looks good!! Easy quick recipe. 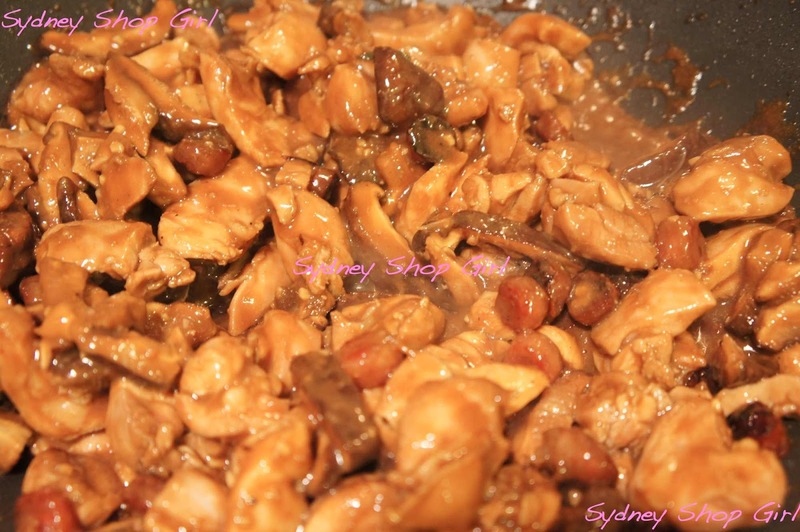 This is a tasty and nice looking recipe. I will try it myself. Thank you!